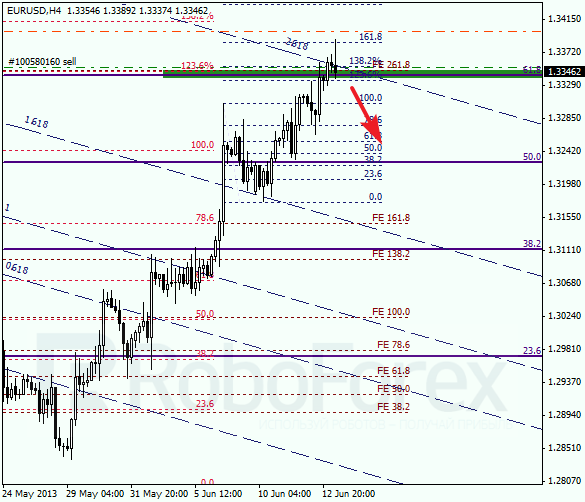 Euro reached the level of 61.8%, but wasn’t able to start a new ascending movement. Judging by the latest candlesticks, the bears are trying to make a reverse, which is also confirmed by resistance of 2.618 line of the fibo-channel. If the bears are able to keep the price below the 61.8% level, it will be the first sign of a new descending movement. 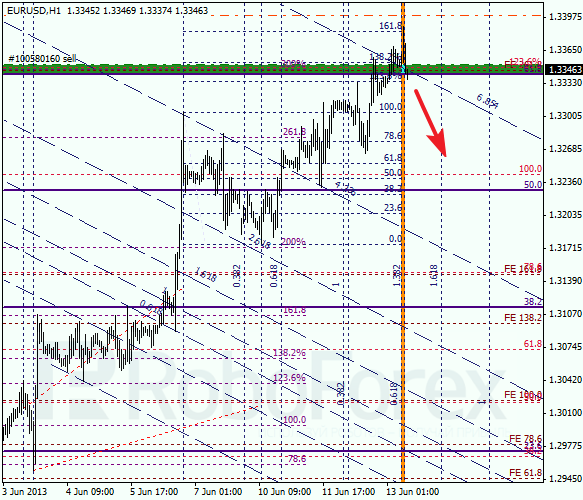 At the H1 chart, the market reached predicted targets. In addition to that, the price is trying to rebound from the 6.854 line of the fibo-channel. I’ll move the stop on my sell order into the black as soon as possible. 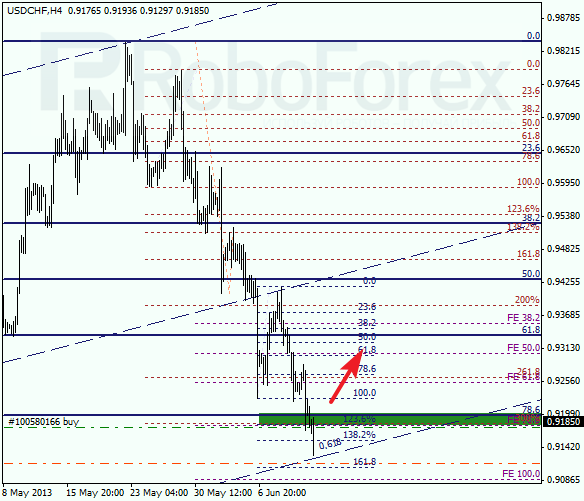 Yesterday Franc broke the level of 78.6%, continued falling down, but was stopped by the 0.618 line of the fibo-channel. If the pair breaks the level of 78.6% upwards, the bulls will start a new ascending trend, at least a local one. At the H1 chart, the price is returning to the level of 78.6%. In addition to that, Franc reached the targets levels, which is a good signal for a new ascending movement. I opened my first long positions with the tight stop.